Welcome to Halloween Horror Shop! Your one stop shop for spooky, scary, animated, laughing, howling and hackling Halloween decorations, Halloween props, Halloween lights and Halloween inflatables. Many of our props and decorations are sound and motion activated adding to your display this Halloween season. We can also ship items across the world too! 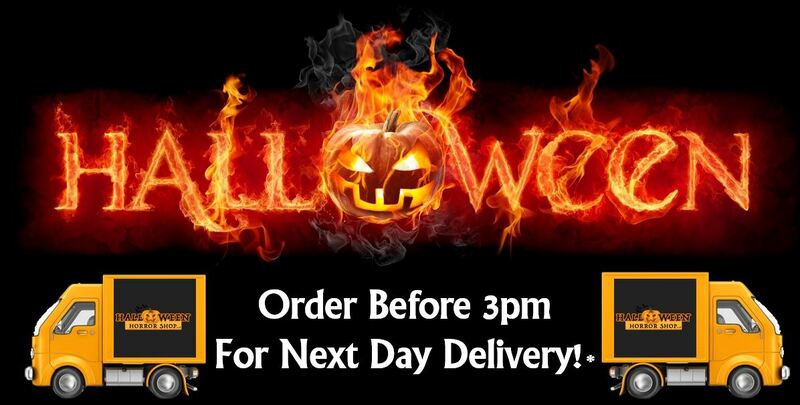 Delivery is free to UK Mainland addresses on all orders over £50. Shipping into Europe starts from just £9.99 and into USA for just £49.99, taking 3-5 days.